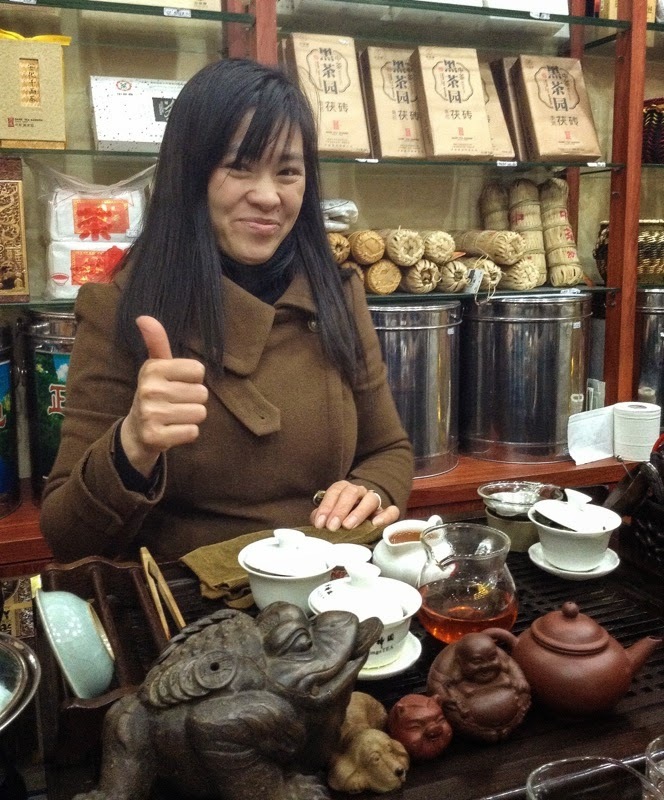 The Mother of all Tea Shops: Shanghai's tea wholesale center. Ok, if you're partial to coffee and nothing else, don't bother. But if you have half an interest in The Leaf, come and sit down for a tasting at one of the many shops here. 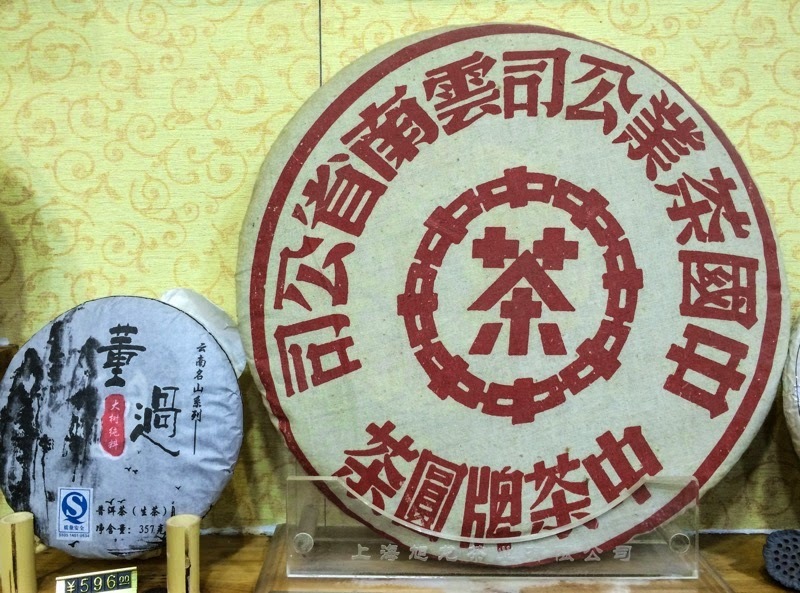 Tian Shan Tea City is a Mecca for tea connoisseurs- and great fun for anybody who wants to know more about the world's most popular beverage (after water) in all its shapes and forms. And the prices are great, too! On the Western side of the Zhongshan ring road. Map. But your average Chinese turns up their nose at the thought of using a tea bag. 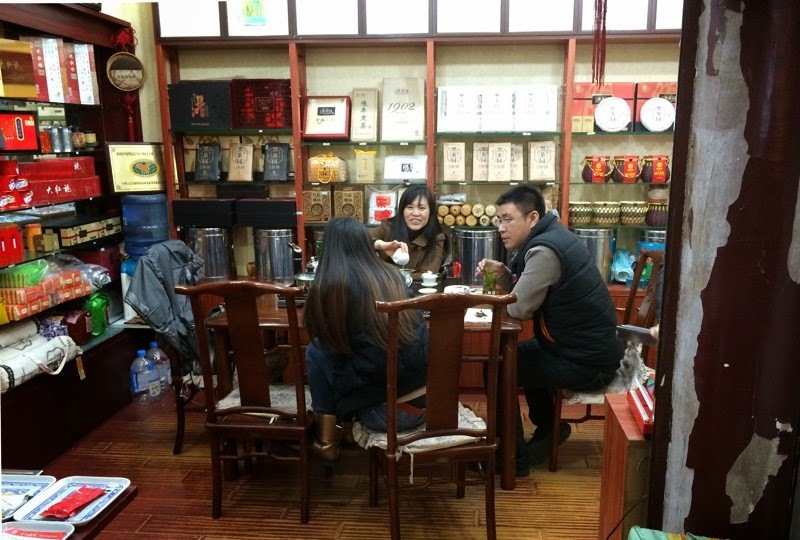 Tea means loose leaves, and there is no better place to buy them than a good old Chinese tea shop. Or 150 good old Chinese tea shops. 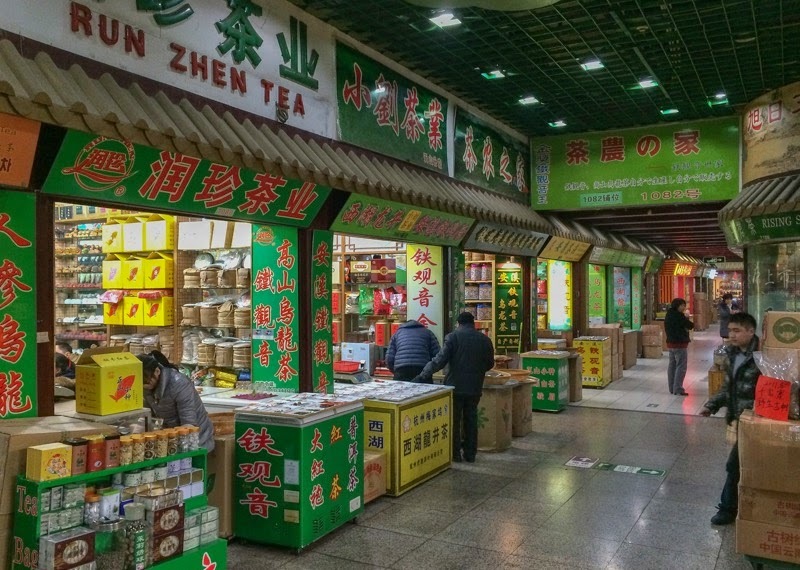 Tian Shan Tea City is a wholesale center of more than 150 small shops where you can buy loose tea in bulk for your restaurant or business. And if you're not a Chinese restaurateur- no worries, the minimum quantity for sale is typically 50g- which lasts a tea fiend like me about a week. Enter at your own risk- your bladder will burst by the time you're done. 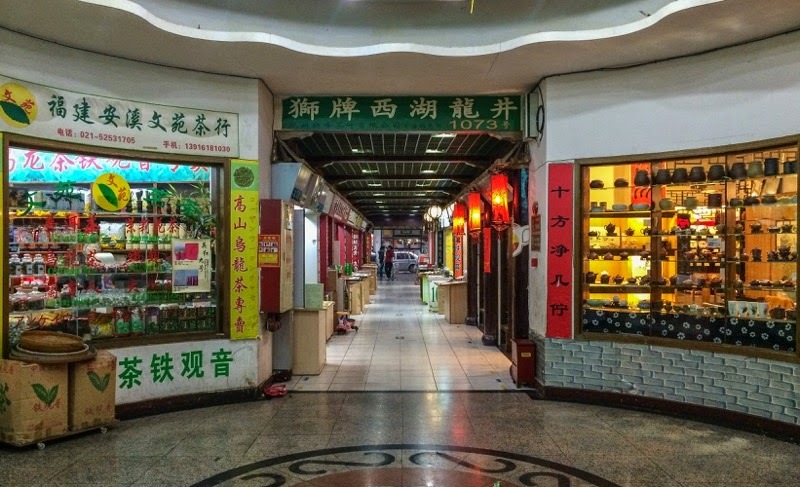 Comprising three floors in a faux-Ming palace, Tian Shan Tea City consists of many small independent vendors selling tea, as well as the usual paraphernalia like cups and pots. It's one of these odd places where everybody seems to sell the same thing- how do they make money? But every shop has its own supply, directly from the gardens supplied in bulk, and you can sit down and sample your way through a variety of styles- much like a wine-tasting, but without risking Korsakoff. This is the ground floor- two more to go. Starbucks hasn't made its way in yet. Customers are invited to sit down at a tasting table set up with automated kettles, lots of little cups, and built-in drains. Tea is prepared in the elaborate gongfu style- lots of splashing, rinsing, filling, draining, spilling, until, eventually, you are served a tiny shot glass of green liquid. Aroma is everything- take a good whiff, admire the colour, savour a sip and wax lyrically about grassy top notes and earthy undertones as if you're the judge on a Bordeaux tasting panel. 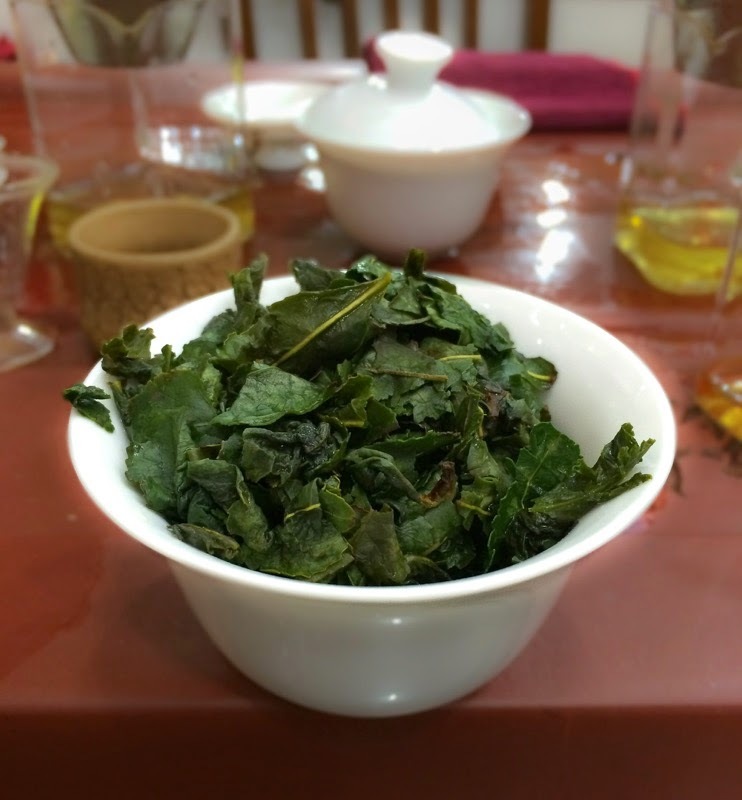 Three cups of (Longjing) tea. 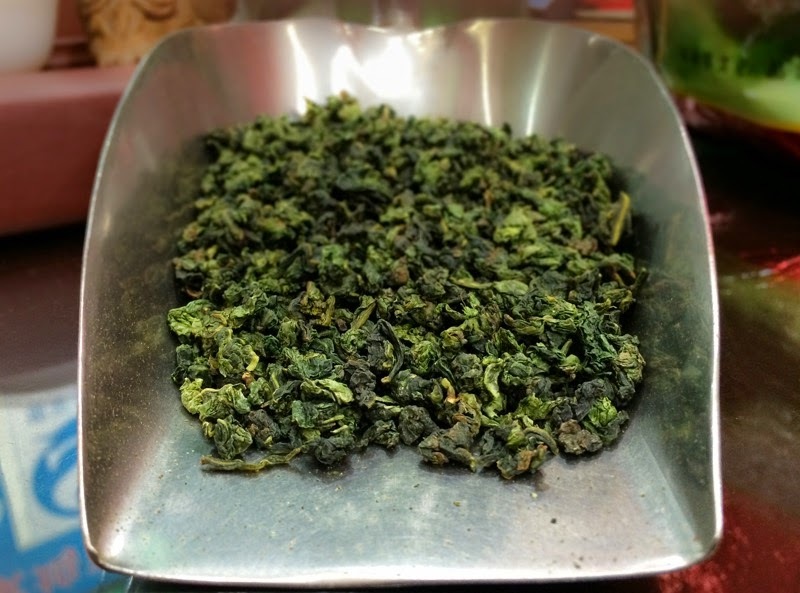 Classy Tie Guan Yin: the Dom Perignon of Chinese tea. 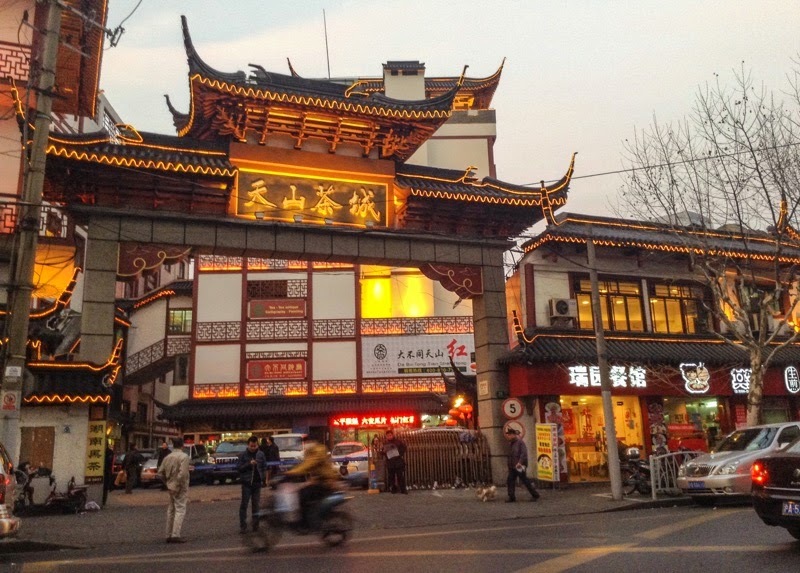 If you don't speak Mandarin, you can negotiate quantities and prices with pen & paper or a calculator, which doubles the fun and boosts your language skills. Or, if you are slightly more bashful, walk around looking for an English-speaking shop owner- don't worry, they'll find you before you find them (assuming you don't look like a local of course.) And if you happen to speak Japanese you'll find several retailers fluent in the language. 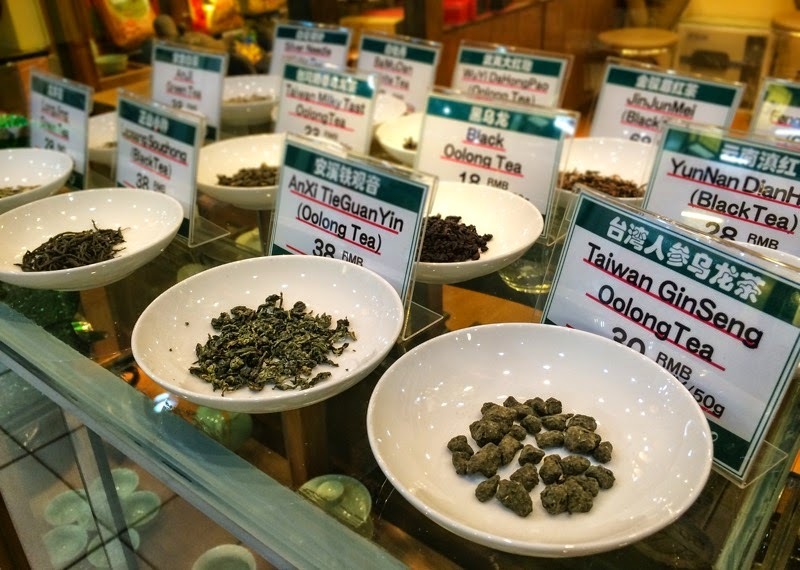 Japanese and Taiwanese (both known to be notorious tea snobs) seem to form the majority of foreign devils seeking premium tea at bargain prices. My tea is hunky dory! Did you expect to find fruit-flavoured blends and Earl Grey? That's like asking for an alcopop in a wine cellar full of Dom Perignon. 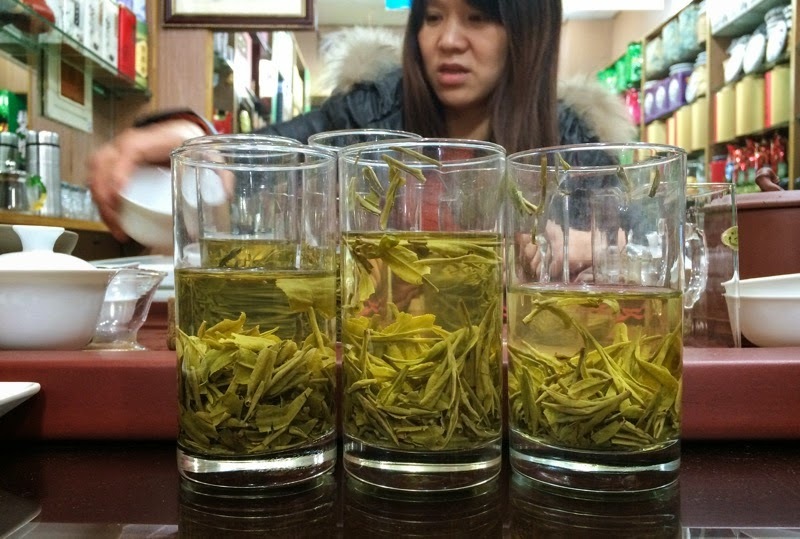 A few shops will sell jasmine tea and the gimmicky tea flowers to entertain foreign fools, but the real deal here is China's finest: aromatic Tie Guan Yin, herby Longjing and the acquired taste (putrid mud, anybody?) 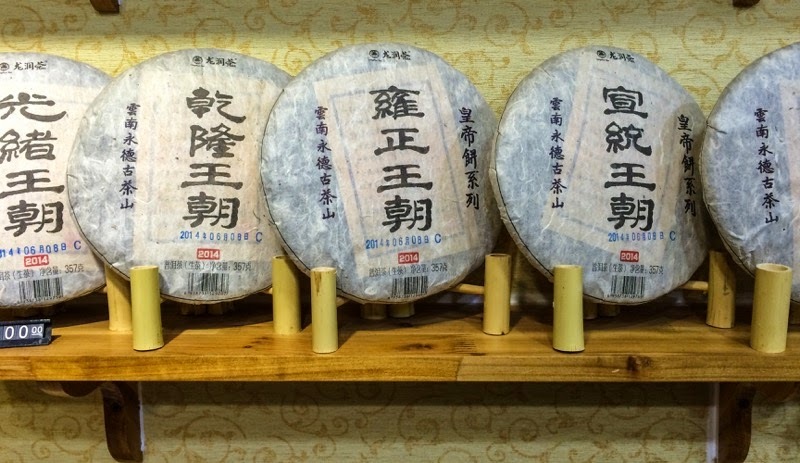 of aged Pu-erh. Pu-erh: that subtle flavour of dried mud and decomposing earth. A taxi from the People's Square area will set you back about 20 RMB. Here's the address in Chinese. If you'd rather save your money for tea, take the green metro line 2 to Zhongshan Park and walk for about 10 minutes. Thanks Giulia! Any plans to go to Shanghai? YOU ARE RIGHT IT WORTH TO GO THERE. IS IT A MARKET FOR LOCAL PRODUCTS ONLY OR WECAN MANAGE TO SEND THERE OUR AFRICAN BEST QUALITY TEAS? Interesting question. Somehow i don't see a huge market for African tea (which is mostly black) in China (which drinks mostly green and oolong teas). 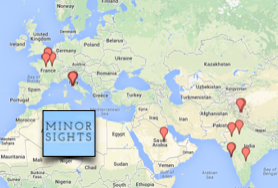 But the only way to find out is to go there, and offer your samples to the traders there... good luck!